While some people have raised concerns about anti-Indigenous racism in the Northwest Territories' health-care system, an expert says it's not just an issue in the territory. Dr. Janet Smylie said it's one of the biggest health inequities between Indigenous and non-Indigenous people across Canada. "To me, the most important impacts are that people are dying unnecessarily or experiencing disability," she said. Smylie has been studying the phenomenon in Canada's health-care system for the past 15 years. She's a researcher at the Centre for Urban Health Solutions at St. Michael's Hospital in Toronto and a Métis physician who's been practising for more than two decades. Smylie said cultural bias can also lead to higher rates of commercial tobacco use among First Nation, Inuit and Métis people, because they're not getting the same public-health messages as other Canadians. That's an example of what Smylie calls implicit — or unconscious — racism, rather than intentional. "I have a hypothesis, and I would love for someone to disprove it. The most important and dangerous kinds of racism that people encounter is actually racism that's hidden. It's even hidden to the person who is having the racist behaviour," she said. Smylie said there are ways to combat the problem. She said that at St. Michael's in Toronto, they're testing intervention techniques developed in the U.S. that frame racism as a bad habit that can be broken. Strategies include catching yourself when you're stereotyping, and going outside your comfort zone — like attending an event where the majority of people don't think or act like you. Changes on the way in N.W.T. N.W.T. 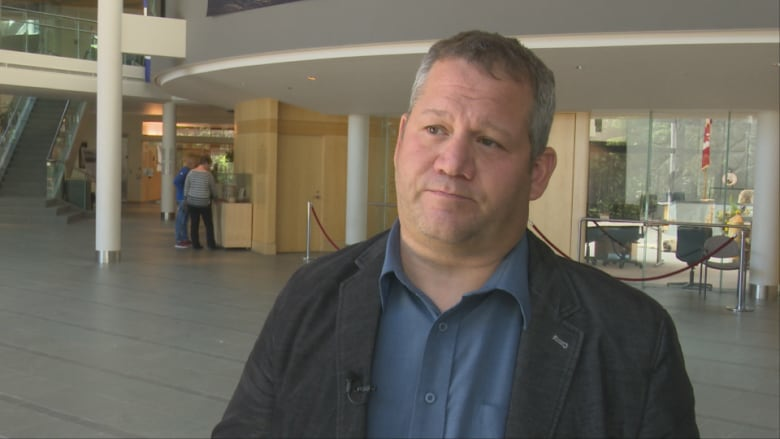 Health Minister Glen Abernethy said he's travelled to every community in the territory and spoken to people who say they are frustrated with racial bias in the health-care system. "I share these concerns, I've heard them all," he said. "People come to me, we talk about these things, we try to find resolution to them, and we're not there, but we're on our way." Abernethy said changes are coming, including training the department hopes to roll out this fall. Cultural training for health-care workers is one of 16 recommendations that came out of an external investigation into the death of Aklavik elder Hugh Papik. He died of a stroke in August 2016 after he was mistaken for being drunk. Abernethy said the training will include learning about different cultures in the territory and the history of residential schools and colonization, as well as the challenges of providing care in small, rural and remote communities. "We're excited by this work, we know that it's going to help us be a more responsive, respectful system and we're looking forward to getting it done," he said, noting department officials have worked with Indigenous governments to develop the training. Abernethy also said the high staff turnover rate in community health centres poses a challenge but a long-term solution is to encourage youth in the N.W.T. to pursue careers in health care. "If we can get local people into these [jobs] in some of our small communities, I believe firmly that we'll have stronger continuity, that we'll have better interaction, and we'll have more stability and trust within the system," he said. The health minister also pointed to a new on-the-land healing camp operated by the Arctic Indigenous Wellness Foundation in Yellowknife. There are plans to have the camp established as part of the Stanton Territorial Hospital campus in the future. Abernethy said that in the meantime, if people have concerns they can bring them to their local services provider or patient representative. "I know it's difficult, there has been a lack of trust for a large number of years and now I'm saying work with us, trust us so we can fix it," he said.